On Saturday the hubby and I, accompanied by Meara the wonder dog, set off for Henley on Thames. 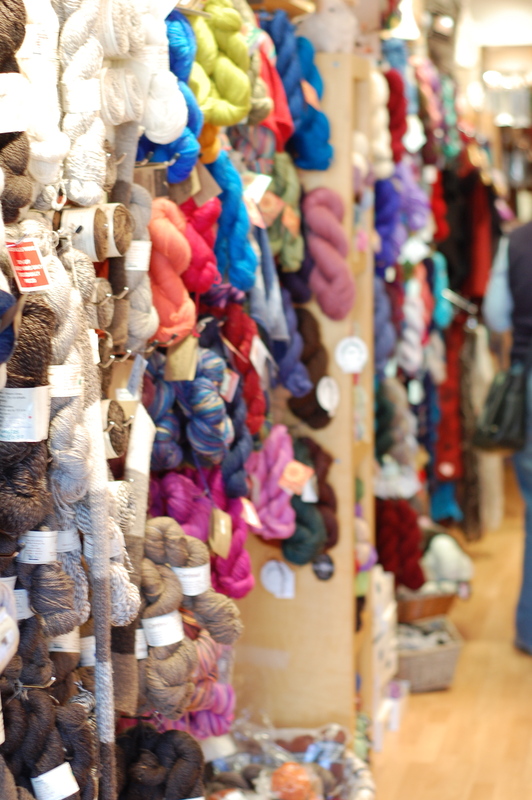 The purpose of this trip was to visit a new yarn shop, and to procrastinate on our spring cleaning for at least a few more hours. What we found when we got there was an absolutely lovely shop with a great selection of different yarns that aren’t found in every yarn shop in the UK. There are few things that annoy me more than when I go into a yarn shop here and find the same 5 brands of yarn, 3 of which I could pick-up at any John Lewis! 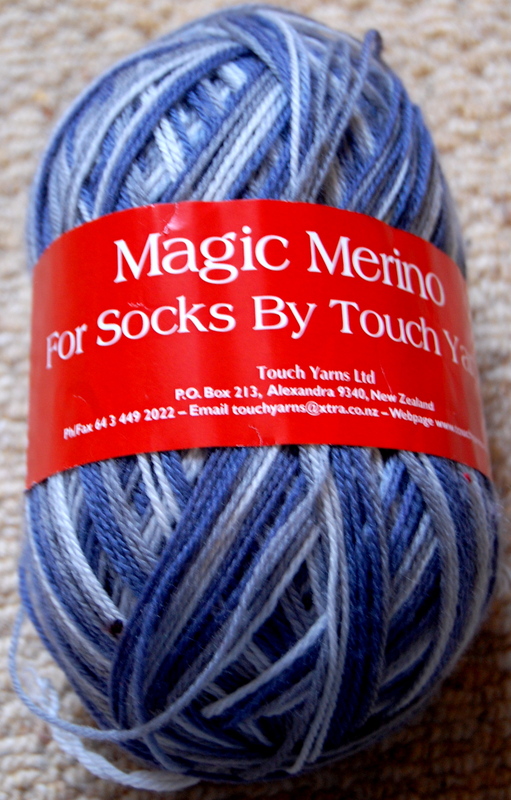 Black Hills Yarns had a fantastic selection of their own brand of yarn, which is 100% undyed New Zealand wool in lovely natural colors as well as quite a few other small brands of yarn with fibers including mohair, silk, angora, cashmere and possum. I picked up a few things, mostly dithered about which color of the laceweight I should get (I ended-up getting green over my usual red as I have enough red laceweight at this point to make a lace house cosy!). 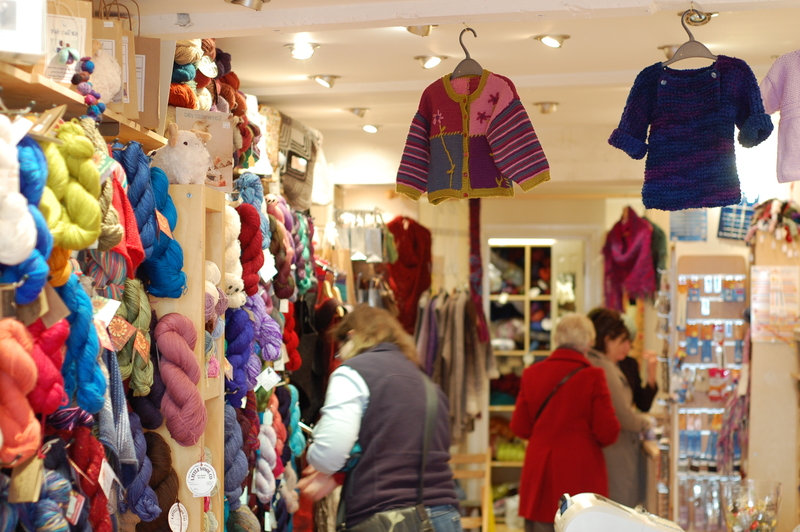 The shop is small (as most of them seem to be here) but well laid out and attractive, with good natural light at the front to make it easier to see what color exactly you are buying. The lady working in it was quite helpful, going so far as to phone her boss to find out the answer to a question that she didn’t know the answer to. 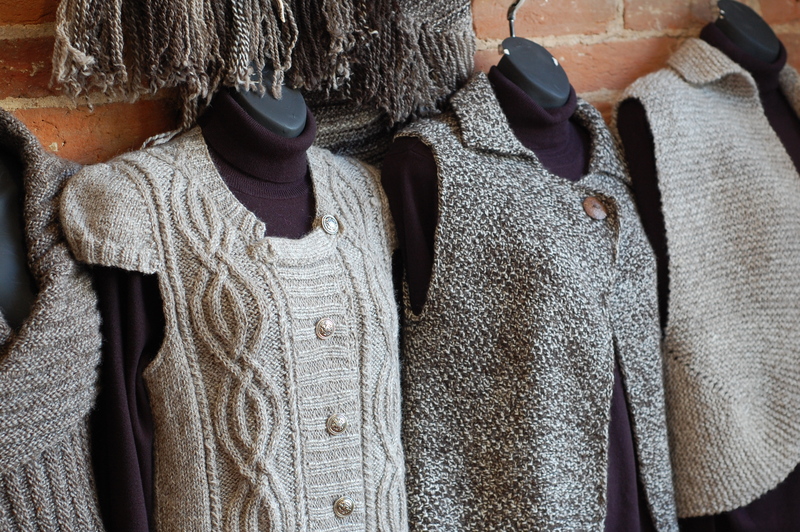 In addition to yarns, they also sold finished sweaters/jumpers as well as washed wool and silvers for spinning. I didn’t get any (this spring cleaning really showed me how much I really need to spin up some of my stash!) 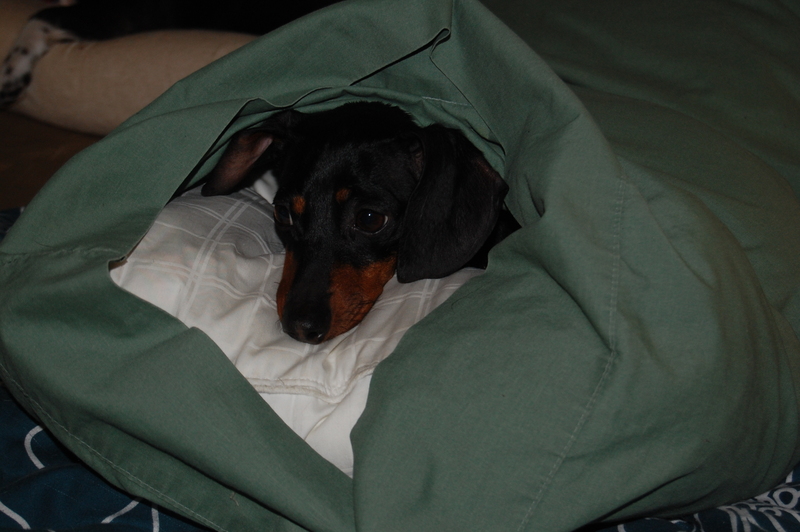 but I did fondle it a bit so can attest to it’s softness. 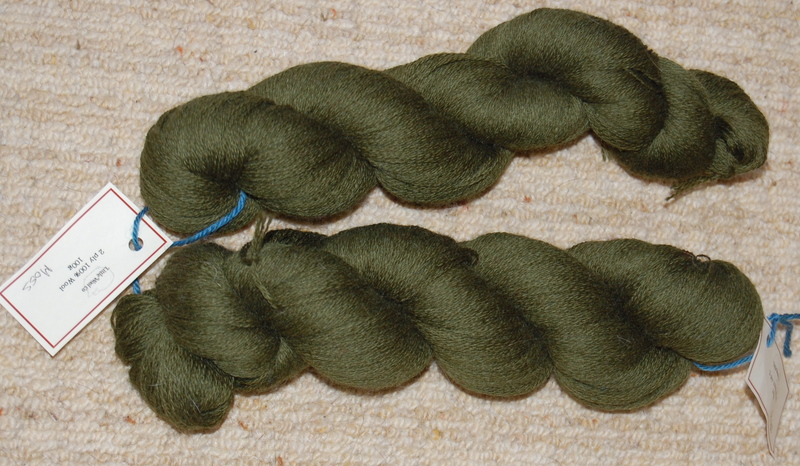 Little Wool Co. 100% wool laceweight in "Moss"
Magic Merino For Socks by Touch Yarns in "Earnscleugh"
Jamie Possum DK. 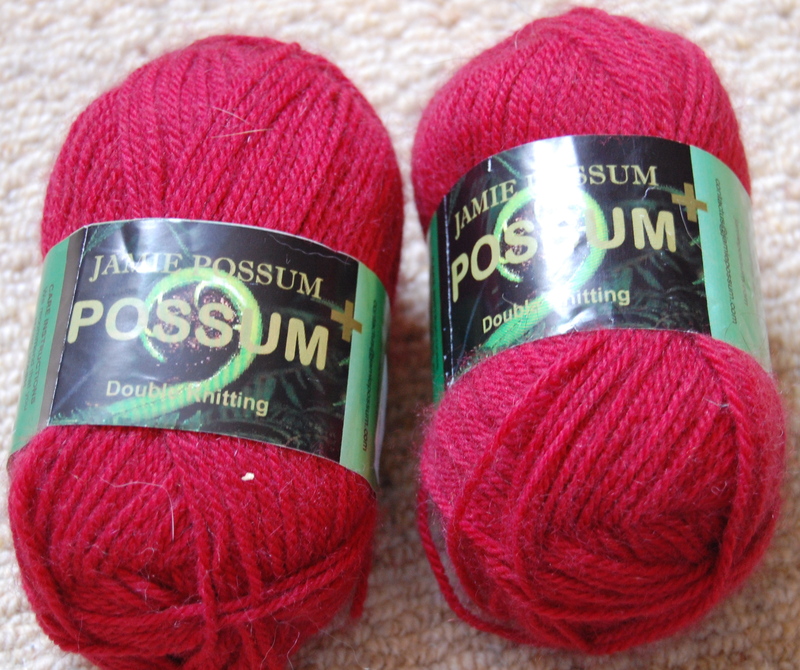 These are going to be a scarf for a Kiwi friend of mine this coming Christmas! As I mentioned, we’ve been spring cleaning around here. We are planning on holding the 2nd annual Easter Egg hunt for grown-ups around here as well as probably having a couple of visitors from Stateside coming to stay. We both hate cleaning, but the results are so worth it! 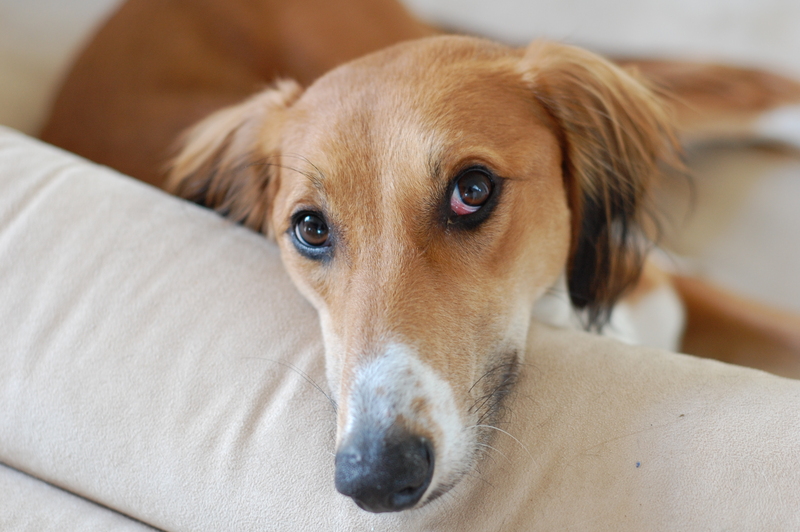 However, while cleaning, the dogs did their best to distract us with their insane cuteness. Do you really have to run that sweeper? Really? I really like the pillowcase! It's like my own personal sleeping bag and pillow all in one!